Click here to go directly to the end of this article and play the game. Now that we have a framework, let’s create a simple game with it. 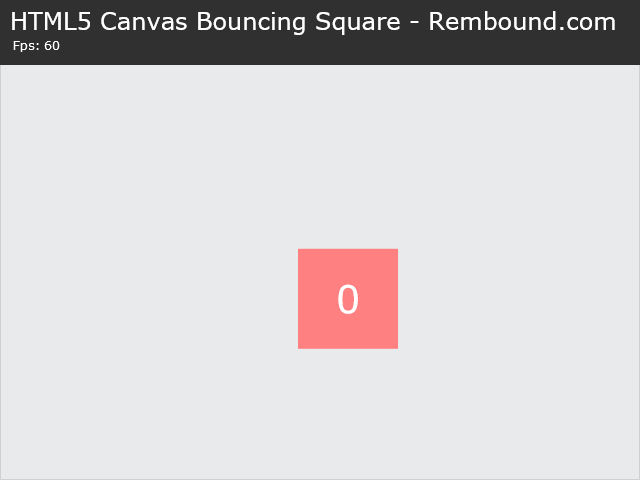 We will be creating a game that has a bouncing square on the screen. 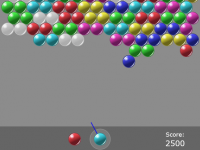 When the player clicks on it, the score on the square increases, the direction in which the square is traveling changes and the speed of the square increases. First, we define some objects and properties. The level defines the area in which the square can bounce around. The square itself has a position, dimensions and movement properties. Finally, there is a score. We need to initialize the objects and properties in the init() function. The objects need to be updated, so let’s modify the update() function. The square needs to be moved and collisions with the edges of the level should be detected and resolved. We need to draw the square and the score. This needs to be done in the render() function. 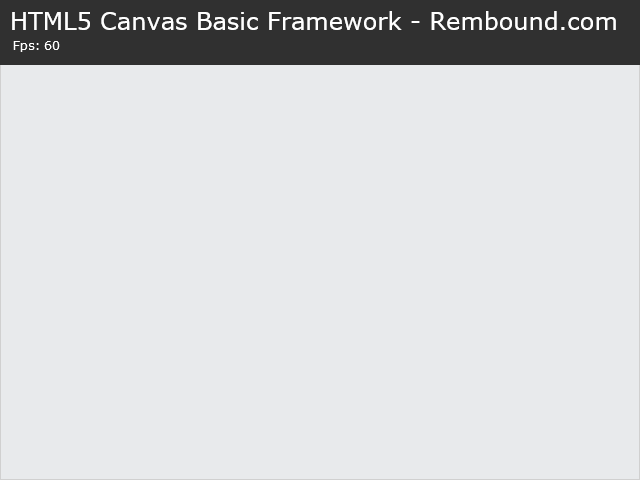 The title of the demo should be modified in the drawFrame() function. The final step is to add mouse interactions. Let’s add our code to the onMouseDown() function. Here is the resulting game, made with the basic framework and some modifications. Click on the square to increase your score and to advance to the next square. The full source code is available on GitHub.